044b – Aliens | All Eighties Movies. All The Time! 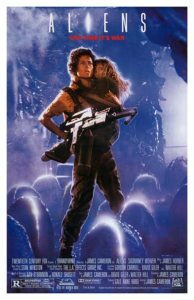 This week we wrap up our podcast on the incredible 1986 film Aliens. So much going on in this half of the movie, not to mention this podcast has our first ever prize giveaway! Good Luck! Oh Gidgit – Terminator 2 it’s the T-1000. I know you have dyslexia. So does my daughter so you do so well to get through doing a podcast. Not making fun. Far from it. I admire you. Excellent double Aliens podcast Angry and Gidgit. You both SO love these movies and you can hear it. You are not reviewing them or belittling them. You are doing obviously what you both love. Very refreshing. And can play your podcast with my kids listening. Keep up the good work. …. after a brief hiatus I am back and so are THEY !!! Great having you back slighty! I just found your pod cast. Gidgit was promoting your double Aliens podcast on twitter. So I just listened to both now and I fully credit both of you with showing total respect to this film. Consider me a new listener to your pod cast and respect your passion and knowledge for these movies. Thank you. You make your podcast light, interesting, fun, entertaining and you both love these movies. Sorry I’m raving on but I finally found my ideal 80’s movie pod cast. You obviously love these eighties movies and it shows.